Dietary acidifiers such as Digecid; have been used to lower gastric pH (resulting in increased activity of proteolytic enzymes), improve protein digestibility and inhibit the proliferation of pathogenic bacteria in the gastro-intestinal tract. 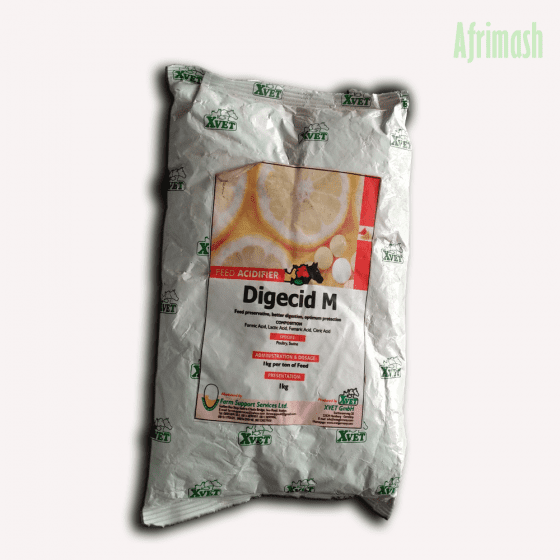 Digecid: Feed preservative, better digestion, optimum protection. Antibiotics have been used in animal feeding for more than 50 years, and the consequences are, residues, alteration in “farm-to-fork“ safe food, and resistance. Improve digestion, thus the breakdown of all fats, proteins, and carbohydrates. Improve absorption which enhances growth, weight gain, lowers FCR, and increases production parameters. Digecid is a powerful acid premix to decrease the risks of pathogen contamination, colonization and multiplication in feed. Once ingested Digecid creates an acidic barrier protecting intestinal tract from pathogen colonization and supporting beneficial gut flora. These positive effects also contribute to improved digestion, thus the breakdown of fats, proteins and carbohydrates increasing their utilization. This feed additive helps to enhance growth, increase weight gain, lower FCR and improves production parameters. 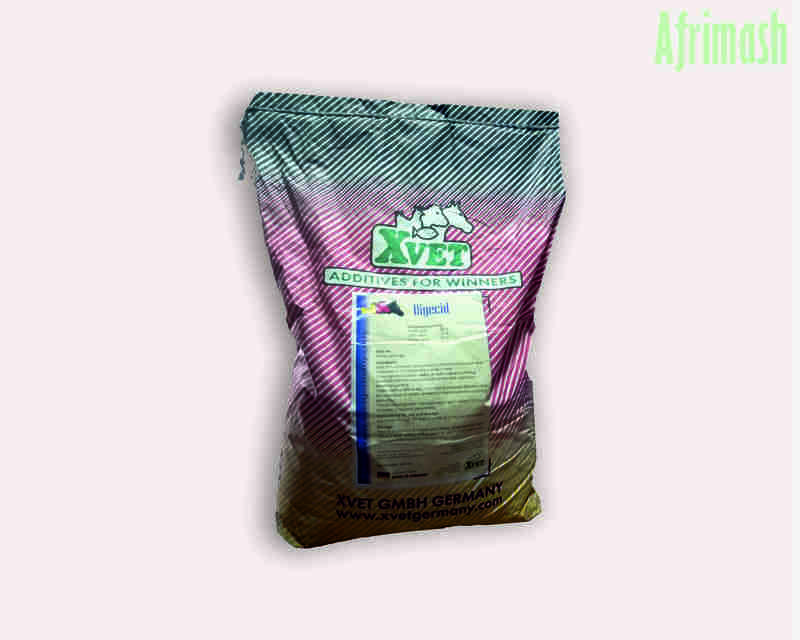 In early ages, helps the digestion as young animals are not capable of synthesizing sufficient stomach/gizzard acids. Increases the digestibility and availability of fats, starch, and proteins. Regulates the passage rate of digesta, along the digestive tract. Helps to create a protective barrier at the level of feed, or at the first part of the digestive tract to decrease the risks of oral infections. Shortens the time of acid production in the stomach, helping to decrease pH quickly. Enhances activity of proteolytic enzymes hence improves protein digestibility. The need for sustainable, responsible growth enhancers. Need for alternatives to antibiotic growth promoters. More tools to combat side effects originating from diseases and management issues. Growing urgency of taking care of the environment due to misuse of chemicals and pharmaceuticals. Mix well with the feed at a rate of 1 kg per ton of feed.